About ~ Eat. Run. Rehabilitate. This is a blog with insights, stories, and research that Adam finds interesting and related to diet, running and rehabilitative medicine. Adam is a young professional in the field of Sports Medicine. He is a Certified Athletic Trainer and is licensed by the State of Illinois. He has interests in nutrition, running, manual therapy and anything physical activity related. He also has many hobbies including running, cycling, Brazilian Jiu Jitsu, and hiking. Despite hating running as a young kid, Adam wants to run an ultramarathon before he turns 30. Adam obtained a B.S. 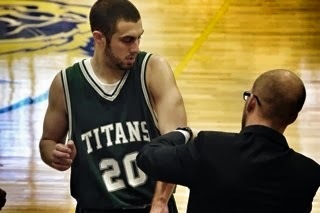 in Athletic Training from the University of Wisconsin - Milwaukee and his M.S. in Athletic Training from Illinois State University. 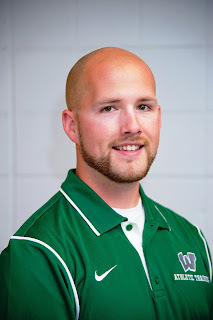 While at Illinois State Adam worked as a graduate assistant athletic trainer at Illinois Wesleyan University where he primarily worked with Men's Basketball, Football, as well as Men's and Women's Cross Country. Adam is currently about to begin work on his PhD in Exercise Physiology at the University of Miami in Miami, Florida. This blog may seem very broad in nature but healthcare, wellness and diet are very intricately related. It truly takes a holistic approach to all of the realms of health and exercise if you expect adequate results.